Commensal microbes have profound influence on human health, including metabolism, behavior, tumorigenesis, and immunity. Our laboratory studies the immune mechanisms involved in recognition of commensal microbes and how these mechanisms participate in immune homeostasis (health) or immune pathology (disease). The two overarching research directions of the lab are to study 1) the cellular and molecular mechanisms by which resident commensal microbes engage and regulate host immunity and 2) the cellular networks that control immune responses in intestinal tissues. Most commensal bacteria do not engage adaptive immunity under steady state or induce generation of suppressive regulatory T cells. However, most intestinal T cells demonstrate an activated phenotype and are therefore thought to recognize dietary or commensal antigens. We demonstrated that commensal bacteria induce effector Th17 cells in healthy mice (Ivanov et al, Cell Host Microbe 2008). We also identified segmented filamentous bacteria (SFB) as the major Th17 cell-inducing commensal microbe (Ivanov et al., Cell 2009). We showed that SFB induce antigen-specific Th17 cells in an MHCII-dependent manner (Goto et al., Immunity 2014) and that intestinal macrophages are crucial for this process (Panea et al., Cell Reports 2015). We are currently studying the cellular and molecular mechanisms by which SFB, and other commensal microbes, induce Th17 cells as well as the role of these Th17 cells in mucosal immunity. We are also designing strategies to identify mouse and human immunomodulatory commensal microbes that induce effector (non-regulatory) T cells in healthy individuals. Host-microbe interactions provide the basis of our knowledge of fundamental immune mechanisms. However, these interactions have been studied exclusively in the context of invasive pathogens. 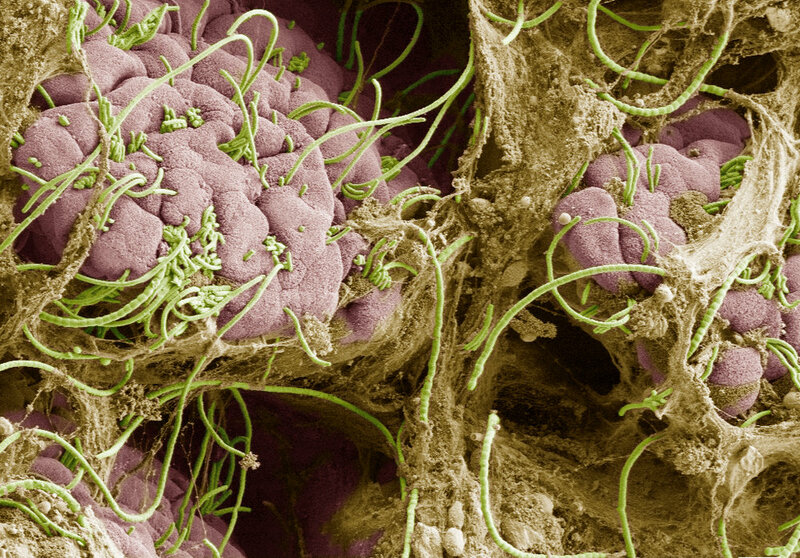 Commensal microbes have as profound influence on host health as pathogens, however whether and how they interact with host cells has not been studied. We are using epithelium-associated commensal microbes to identify novel types of host-microbe interactions and study the underlying mechanisms. We are also studying the role of intestinal epithelial cells in immunity to commensal microbes. We are studying the role of intestinal macrophages and dendritic cells in mediating signals from immunomodulatory commensal microbes. We are using genetic models to conditionally ablate different subsets of macrophages and dendritic cells or ablate specific genes in these subsets in order to examine their differential role in controlling gut immunity, including antigen acquisition from commensal microbes, antigen presentation and regulation of T cell differentiation. We are also studying the communication between intestinal macrophages and other immune cells, including dendritic cells and innate lymphoid cells. We are also generating genetic tools to study the role of innate lymphoid cells in mucosal immunity and host physiology.